Why Not Use The Same Approach To Rescue The Current Prolonged Recession? 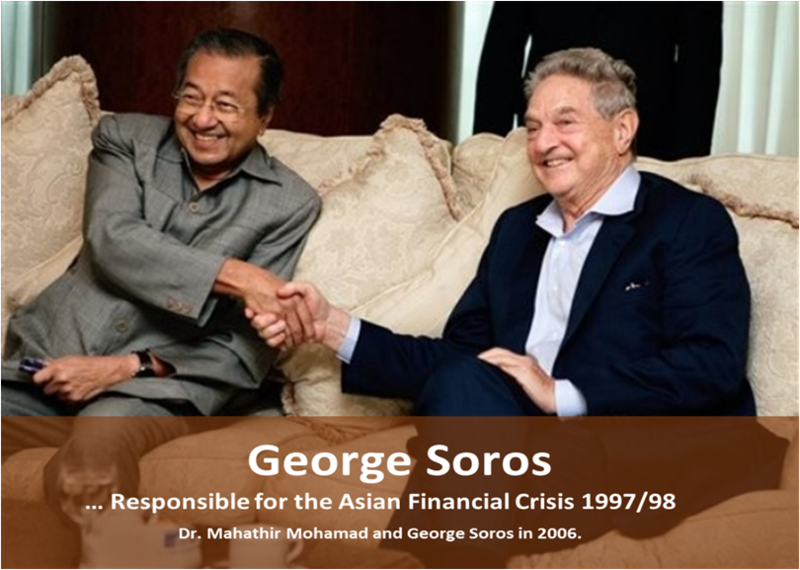 Eighteen years ago, we were saddled by the worst economic crisis in Malaysian history when our economy was severely hit by the Asian Financial Crisis 1997/98. The crisis started from currency speculation attacked by fund managers, led by George Soros. I still remember while serving the National Economic Action Council (NEAC) in 1998, our economy was badly affected by the crisis. The growth turned to negative 7.4%, Ringgit depreciated 40% against the USD, Kuala Lumpur Composite Index (KLCI) plunged from 1,200 points to 297 points, capital market shrunk by 70%, followed by high rate of inflation, unemployment and public debt, and the banking system almost collapsed as the local banks were short of liquidity. The public were shocked and in panic! However, the government, through NEAC was very quick to respond and managed to rescue the economy, just within one year! 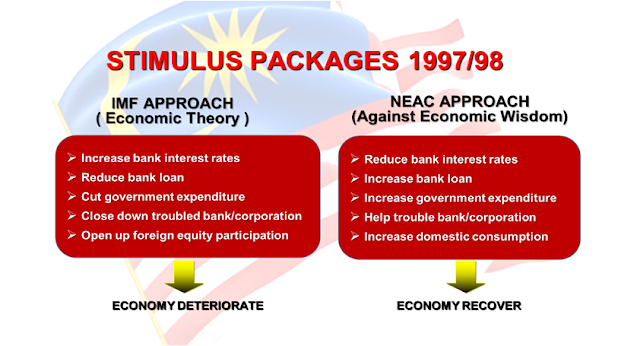 The measures taken by NEAC were contradicted with the conventional wisdom of economics theory and doctrine. Some analysts called this as ‘Unorthodox Measures of September 1998 Financial Crisis’. Recipe 1. 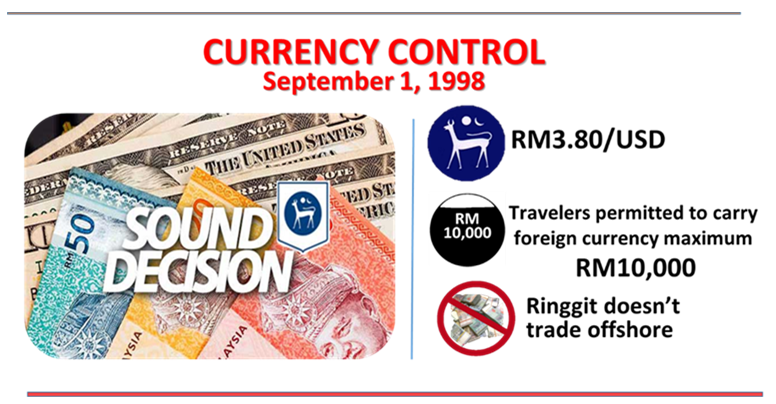 Currency Control was introduced on September 1, 1998, aimed at eliminating the offshore ringgit funds for speculative activities. Ringgit was pegged RM3.80/USD, offshore trading of ringgit was not permitted, and resident travelers leaving Malaysia were allowed to carry travelers cheques and foreign currency notes up to RM10,000 only. As a result, the outflow of ringgit had brought to an end, creating healthy environment in the banking system. Recipe 2. 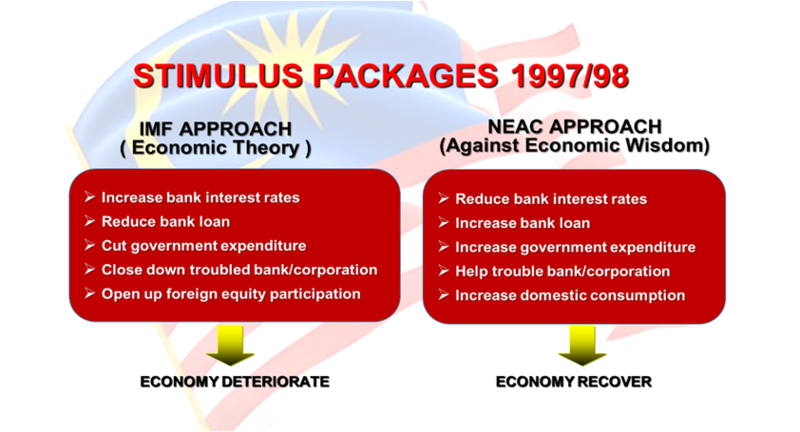 Stimulus Packages were introduced to stimulate the affected sectors in the economy. The measures received the most reactions from many scholars, especially the International Monitory Fund (IMF) and the World Bank as the approaches were against the wisdom of economic theory and conventional doctrine. In economic theory, the government should cut public expenditure during the crisis to control deficit. But NEAC took different stand that expenditure should be increased to stimulate the affected sectors in the economy. Recipe 3. 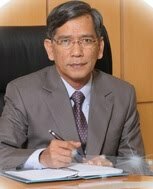 Based on the decision of NEAC, Base Lending Rates (BLR) and Statutory Reserve Requirements (SRR) were reduced gradually by Bank Negara Malaysia to provide enough capital and liquidity to domestic economy and helped to increase domestic consumption. Why don’t we use the 'Recipe 1997/98' for current recession? 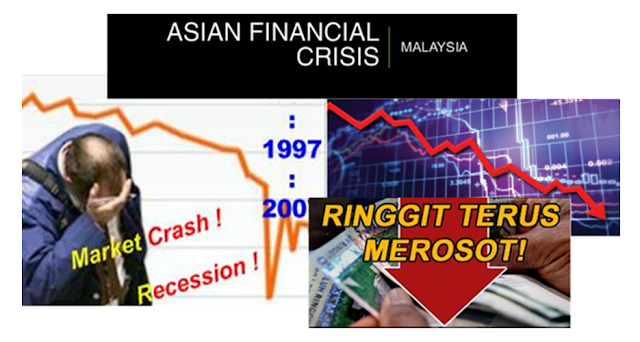 Malaysia is currently facing a prolonged recession since 2008. It seems that there are some similarities in terms of the impacts between the Financial Crisis 1997/98 and the current recession. As CNN said, “In Asia, it's starting to look a bit like 1997”. But, until to date, we were yet to see any constructive measures have been taken by the government through the ‘Economic Council’, established on July 30, 2008 to relieve the pain of the rakyat and to put an end the current prolonged recession.